•	The Karnataka Government has submitted a detailed project report (DPR) of the Mekedatu project to the Central Water Commission (CWC). As per the DPR, the total project cost will be the Rs 5,900 crore. 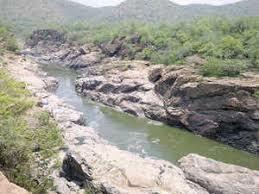 •	Now, the DPR will be placed before the Cauvery Water Management Authority (CWMA) and after its approval, will be brought before the Advisory Committee of the Union Ministry of Water Resources. •	The DPR will be examined in specialised directorates of CWC including the Inter-State Matters Directorate, and if found acceptable, will be submitted to the Advisory Committee of Irrigation and Multipurpose Projects of the Ministry of Water Resources, for acceptance. •	On the basis of the note prepared by CWC and deliberations during the meeting of the Advisory Committee, a decision on acceptance of the project will be taken. •	Tamil Nadu has been vehemently opposing the project and the CWC’s decision to grant permission for Karnataka to prepare the DPR. 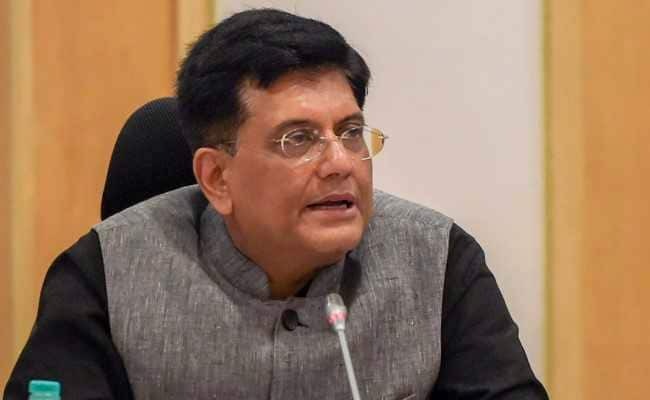 •	Minister of Railways Piyush Goyal has been assigned to temporarily hold the portfolios of Minister of Finance and Minister of Corporate Affairs during the period of the indisposition of Arun Jaitley. •	Mr Goyal will hold the charge of these two Ministries in addition to his existing portfolios. •	According to the Rashtrapati Bhavan Communique, Mr Jaitley will be designated as Minister without portfolio during the period of his indisposition or till such time he is able to resume his work as Minister of Finance and Minister of Corporate Affairs. •	National Girl Child Day is observed on 24th Jan. The theme this year is `Empowering Girls for a Brighter Tomorrow`. •	The Women and Child Development Ministry have organised an event in Delhi to observe the anniversary of `Beti Bachao Beti Padhao` scheme. •	Women and Child Development Minister Maneka Gandhi will be the Chief Guest. •	The Minister will felicitate Principal Secretaries and Commissioners of five states for their overall support, guidance and monitoring of the scheme. •	Beti Bachao Beti Padhao scheme was launched by Prime Minister Narendra Modi on 22nd January 2015 at Panipat in Haryana. Mr Modi launched the All India Expansion of Beti Bachao Beti Padhao covering all 640 districts at Jhunjhunu, Rajasthan on 8th March last year. •	Out of these districts, 405 districts are covered under advocacy and multi-sectoral action while the remaining 235 districts are covered under media advocacy and outreach. •	Cabinet has approved the landmark amendment to Article 280 of the Constitution to increase powers of Autonomous Councils in Sixth Schedule areas of North East. 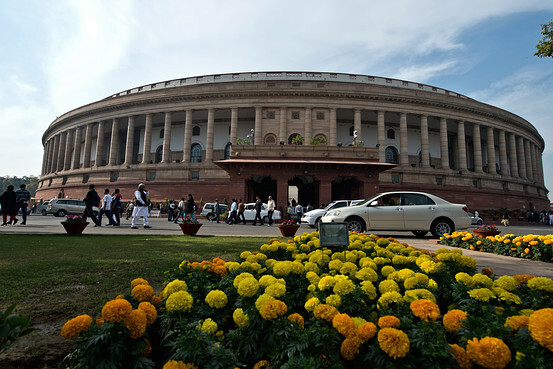 •	The proposed amendment will give more powers to Autonomous District Councils of Assam, Meghalaya, Mizoram and Tripura. •	State Finance Commissions will be set up in Assam, Meghalaya, Mizoram, Tripura, Karbi Anglong Autonomous Territorial Council and Dima Hasao Autonomous Territorial Council. •	Finance Commission will recommend devolution of financial resources to ten Autonomous District Councils, and village and municipal councils in Sixth Schedule areas. •	More funds will be given to local government institutions for development works in these tribal areas. The proposed amendments will have elected village and municipal councils ensuring grass root democracy. •	The State Election Commissions will hold elections to Autonomous Councils, village and municipal councils in the scheduled areas of Assam, Mizoram and Tripura. One-third of seats will be reserved for women in the village and municipal councils. At least two nominated members in all autonomous councils will be women. •	The Winter Carnival has commenced at Drass, the second coldest inhabited place in the world. •	It began with the event of Archery under the aegis of Drass Warriors Brigade in which 120 Archers participated. •	Locals from all walks of life and different age groups exhibited their talent in archery. •	During the course of the next few days, the Indian Army will organize numerous events for the local people to showcase their talents in arts and crafts. •	Various sports events such as Ice Skating, Snow Ski, Polo, and Archery will also be held. •	Bihar government has decided to bring a separate Bill in the forthcoming budget session commencing from February 11 to implement 10 per cent quota in jobs and education for weaker sections in general category. •	In Patna, Chief Minister Nitish Kumar said all legislative process for 10 %quota implementation will be complete by February. •	The Supreme Court has said that it would take an “in-chamber” decision on listing of a petition challenging the constitutional validity of Article 35A, which provides special rights and privileges to permanent residents of Jammu and Kashmir. •	‘In-chamber’ decision refers to a process of decision making where the orders are issued from the Justice’s chambers without a formal court proceeding. •	In August last year, the top court adjourned hearing on a batch of petitions challenging Article 35A till January this year, after taking note of submissions of the Centre and the state government that there was a law and order problem in the state. •	A petition has been filed in the Supreme Court which says Article 35A was against the “very spirit of oneness of India” as it created a “class within a class of Indian citizens”. It said restricting citizens from other States from getting employment or buying property within Jammu and Kashmir is a violation of fundamental rights under Articles 14, 19 and 21 of the Indian Constitution. •	Article 35A is a provision incorporated in the Constitution giving the Jammu and Kashmir Legislature a carte blanche to decide who all are ‘permanent residents’ of the State and confer on them special rights and privileges in public sector jobs, acquisition of property in the State, scholarships and other public aid and welfare. •	The provision mandates that no act of the legislature coming under it can be challenged for violating the Constitution or any other law of the land. •	Article 35A was incorporated into the Constitution in 1954 by an order of the then President Rajendra Prasad on the advice of the Jawaharlal Nehru Cabinet. •	The controversial Constitution (Application to Jammu and Kashmir) Order of 1954 followed the 1952 Delhi Agreement entered into between Nehru and the then Prime Minister of Jammu and Kashmir Sheikh Abdullah, which extended Indian citizenship to the ‘State subjects’ of Jammu and Kashmir. •	The Presidential Order was issued under Article 370 (1) (d) of the Constitution. This provision allows the President to make certain “exceptions and modifications” to the Constitution for the benefit of ‘State subjects’ of Jammu and Kashmir. 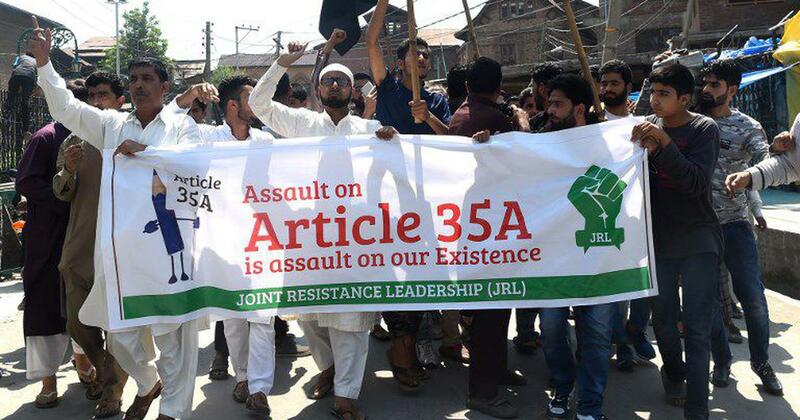 •	So, Article 35A was added to the Constitution as a testimony of the special consideration the Indian government accorded to the ‘permanent residents’ of Jammu and Kashmir. •	The Clothing Manufacturers Association of India (CMAI) will work with the Union Ministry of Textiles in the “Size India” project, which is expected to be launched next month. •	CMAI will conduct a study across India to arrive at standard sizes. •	The ‘Size India’ project will help create a India-specific size chart for the textiles and garment industry. •	To arrive at standard Indian sizes for apparels. •	The project will reduce overall prices and the consumers will stand to benefit from it. •	Under the project, anthropometric data will be collected from 25,000 sample (with men and women in equal numbers) population in age group 15 to 65 years across six major cities. •	It will create database of measurements that will result in standardized size chart which is representative of Indian population and can be adopted by apparel industry. •	Apparel retail is one of the important drivers of modern retail in India, with its total size estimated to be $72 billion. •	Developed countries such as the U.S. and U.K. have standard sizes for apparels. Having standard sizes will reassure customers when they purchase a product, both online and at outlets, and will reduce wastages for the apparel manufacturers. •	At present, large percentage of population face difficulty in finding clothes that fit them perfectly according to their body measurements. This is mainly due to differences in anthropometric built of people in different geographical regions across the country. 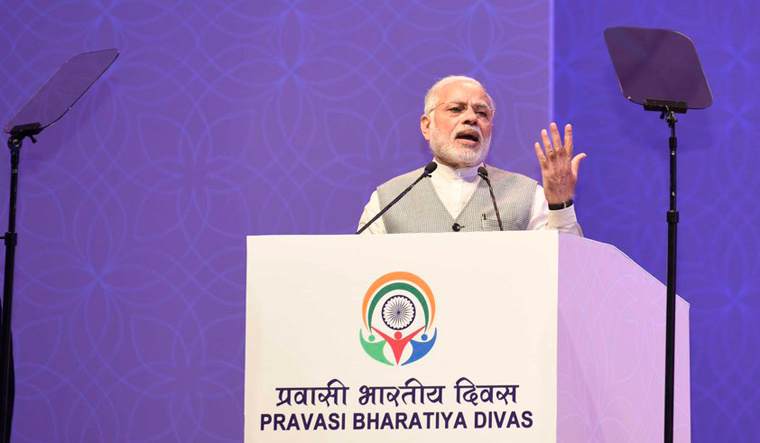 •	Prime Minister Narendra Modi inaugurated the 15th Pravasi Bharatiya Divas at Varanasi in Uttar Pradesh. Speaking on the occasion, the Prime Minister said that NRIs can play a great role in start up, stand up and in Defence manufacturing sector while working for the development of India. •	He called upon Indian diaspora to play a greater role in the development of the land of their forefathers. •	Mr Modi said his government has taken many steps for the benefit of Indian Diaspora and many more initiatives are in progress for NRIs. He said the government will help NRIs in every possible manner. •	Mr Modi added that the Government is going to start Pravasi Teerth Darshan Yojna. •	The Prime Minister said that the NDA government has used technology to eradicate the menace of corruption. In last 4.5 years more than 5 lakh 80 thousand crores have been directly transferred to bank accounts of the beneficiaries of various government schemes. •	Earlier, addressing the gathering, External Affairs Minister Sushma Swaraj said that India`s image as a powerful country has improved leaps and bounds due to the leadership of Prime Minister Narendra Modi. Mrs Swaraj remembered former Prime Minister Atal Bihari Vajpayee for starting Pravasi Bharatiya Divas. •	Addressing the large gathering of NRIs, Prime Minister of Mauritius, Pravind Jugnauth, who was chief guest of the function said, it is the most precious gathering of India diaspora. He said that whole word has appreciated the initiatives of Prime Minister Modi. He lauded many schemes of central government like Skill India, Digital India and Beti Bachao, Beti Padhao. •	Nation pays homage to Netaji Subhas Chandra Bose on his 122nd birth anniversary.President Ram Nath Kovind paid tributes to Netaji Subhas Chandra Bose on his birth anniversary. •	In a tweet, Mr Kovind said, Netaji Subhas Chandra Bose remains one of the most beloved national heroes and an icon of India`s freedom struggle. He said, Netaji is cherished, remembered and missed to this day all over the country. •	The museum on Bose and the Indian National Army showcases various artefacts related to Subhash Chandra Bose and INA. The artefacts include wooden chair and sword used by the leader, medals, badges, uniforms and other artefacts related to the INA. •	An official release said, Mr Modi will also visit the Yaad-e-Jallian Museum, which provides an authentic account of the Jallianwala Bagh massacre that happened on April 13, 1919. The museum also showcases the heroism, valour and sacrifices made by Indian soldiers during the World War-I. •	Prime Minister will also visit the Museum on 1857- India`s first war of Independence. The Museum on 1857-India`s first war of Independence portrays the historical narrative of 1857 war of independence, showcasing the valour and sacrifices made by Indians during the period. •	Mr Modi will also visit Drishyakala-Museum on Indian Art which showcases artworks from 16th century till India`s independence. All these museums are located at the Red Fort. •	As a mark of respect to Netaji, the Centre has named Ross Island in the Anadman and Nicobar Islands as Netaji Subhas Chandra Bose Dweep. 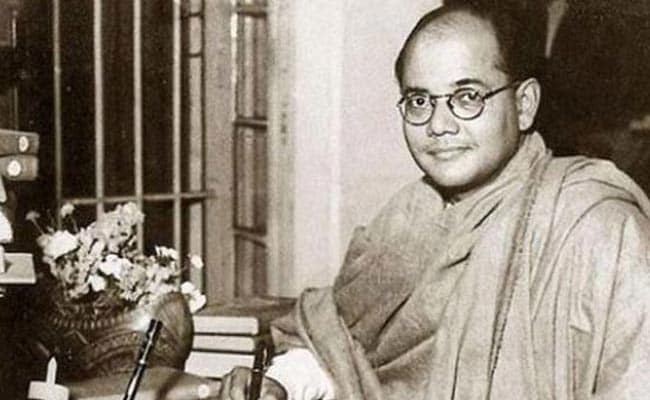 Hundred files related to Netaji have been declassified by the Government of India. •	President Ram Nath Kovind conferred the Pradhan Mantri Rashtriya Bal Puraskar 2019 at a function in Rashtrapati Bhawan t. The Award was given in two categories- Bal Shakti Puraskar and Bal Kalyan Puraskar. •	The Bal Shakti Puraskar was given to 26 children including one joint award for their exceptional achievements in the field of innovation, scholastic, sports, arts and culture, social service and bravery. Madhav Lavakare, Eiha Dixit, Shivangi Pathak, Nishant Dhankhar and Nikhil Jituri are among those children who received the award. •	Two individuals and three institutions were awarded the Bal Kalyan Puraskar. The award under Bal Shakti Puraskar carries a cash prize of one lakh rupees, book vouchers worth ten thousand rupees, a certificate and a citation. •	Under Bal Kalyan Puraskar, the award for individual consists of a cash prize of one lakh rupees, a medal, a citation and a certificate while the award for institution consists of a cash prize of five lakh rupees. •	Women and Child Development Ministry revamped the scheme of National Awards for children in 2018 to include Bravery as an additional component in the Pradhan Mantri Rashtriya Bal Puraskar. 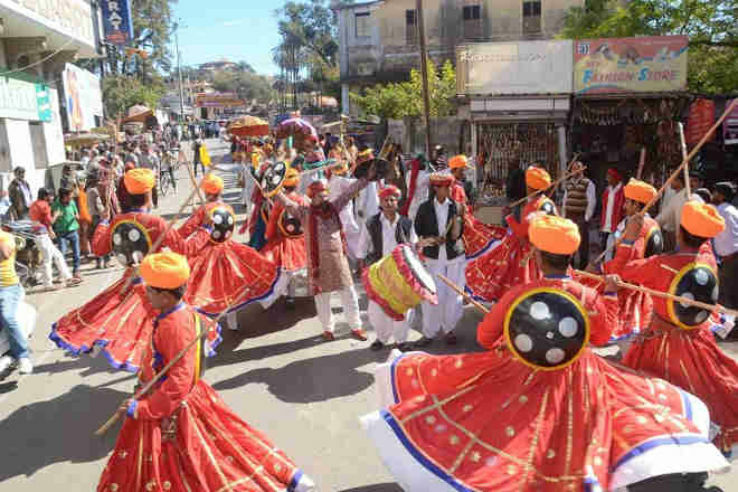 •	The second `World Orange Festival` was inaugurated in Nagpur. •	The festival, while offering its famed oranges to the world, will also showcase and brand the exquisite fruit in order to boost its export. •	The festival is being organised through the initiative of Lokmat in which agriculture experts and scientists from all over the world are participating along with renowned companies. •	One of the main attractions of the exhibition at Reshimbagh Ground was the five varieties of oranges from Brazil being displayed at the Jain Irrigation Limited stall. •	These unique oranges are being showcased for the first time in the city. People curiously looked and inquired about the new variety of oranges. •	This new variety of mangoes have been grown using the New Jain Sweet Orange technique. •	The new variety of oranges can be grown using drip irrigation which requires 50 per cent less water. •	The new variety of oranges are of high quality and maintain consistency. •	Another attraction at the exhibition was the bio capsule fertilisers. •	These bio capsules have been made using nano technology and have been patented by Indian Institute of Sciences and Research. •	These bio capsules attracted farmers in large numbers. •	India is among the most trusted nations globally when it comes to government, business, NGOs and media. •	The 2019 Edelman Trust Barometer report, which was released, ahead of the World Economic Forum meet in Davos, noted that the Global Trust Index witnessed a marginal increase of 3 points to 52. •	China topped the Trust Index among both the informed public and the general population segments. •	India was at the second place in the informed public category and third place in the general population category. •	The Index is the average per cent of trust in NGOs, business, government and media. •	The findings are based on an online survey in 27 markets covering over 33,000 respondents. The fieldwork was conducted between October to November last year. •	In terms of trust in companies headquartered in each market, the most trusted are those from Switzerland, Germany and Canada. •	However, as per the report, companies headquartered in India, Mexico and Brazil are the least trusted, followed by China and South Korea. •	As per the latest study conducted by the Rural Development Ministry, the Pradhan Mantri Awas Yojana- Gramin (PMAY-G) is in doldrums with over 12 lakh pending houses and land being provided to only 12 per cent of the beneficiaries even as the March 1 deadline for 1 crore houses fast approaches. •	Of the total 4.72 lakh beneficiaries identified across the country, only 56,694 have been allotted land. •	Among the best performing states in terms of land allotment are Sikkim, Madhya Pradesh and Uttar Pradesh. •	States like Goa, Kerala and West Bengal have drawn a blank in terms of allotment of land to beneficiaries. •	The erstwhile rural housing scheme Indira Awaas yojana (IAY) has been restructured into Pradhan Mantri Awaas Yojana –Gramin (PMAY-G) from 01.04.2016. •	PMAY-G aims at providing a pucca house, with basic amenities, to all houseless householder and those households living in kutcha and dilapidated house, by 2022. •	Cost sharing: The cost of unit assistance in this scheme is shared between Central and State Governments in the ratio 60:40 in plain areas and 90: 10 for North Eastern and Himalayan States. •	The scheme envisages training of Rural Masons with the objective of improving workmanship and quality of construction of houses while at the same time, increasing availability of skilled masons and enhancing employability of such masons. •	Tripura has launched the Sustainable Catchment Forest Management (SCATFORM) project which is undertaken with the assistance of JICA (Japan International Cooperation Agency). •	The SCATFORM project aims to address issues such as forest cover loss and forest degradation have been mainly caused by shifting cultivation, which increases soil erosion risks on hill slopes especially in upper catchment areas. •	It would be implemented mainly in upper catchments where forest degradation and soil erosion are severe and livelihood improvement needs are high. •	The activities undertaken under the project involves promotion of bamboo plantation, agroforestry based livelihood, eco-tourism development, development of value addition for bamboo and other Non-Timber Forest Product (NTFP) in order to create alternate livelihood opportunities for local communities. •	The 80 per cent of the cost is contributed by JICA and the rest would be funded by the state and central governments. •	A Delhi court allowed the Enforcement Directorate, ED, to go ahead with the extradition process against four Sterling Biotech promoters in an 8,100-crore rupee bank fraud case. The agency had sought permission from the court to initiate extradition proceedings against the promoters of the Gujarat pharma firm in the case. •	Earlier in the day, the ED told the court that the four accused are reportedly in Italy and Nigeria and their extradition is required for probing the case. •	The ED has filed the alleged bank fraud case against the firm under sections of the Prevention of Money Laundering Act. The accused are being probed by the agency also for allegedly bribing senior income tax department officials as part of an earlier criminal complaint. •	The most revered Lingayat seer Shivakumara Swami, the head pontiff of five-centuries-old Siddaganga Mutt in Tumakuru passed away. •	He was 111 years old. Doctors said, Swami was battling a lung infection and had been put on the ventilator. •	Schools and colleges will remain closed and three days state mourning is declared by the Chief Minister H D Kumaraswamy. •	Pradhan Mantri Rozgar Protsahan Yojana (PMRPY), the flagship scheme of the Central Government for employment generation has crossed the milestone of one crore beneficiaries as on January 14, 2019. 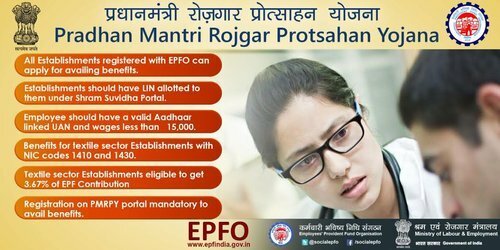 •	PMRPY is being implemented by the Ministry of Labour and Employment through the Employees’ Provident Fund Organization (EPFO). •	PMRPY was announced on 7 August 2016. •	The Employees` Provident Fund Organisation (abbreviated to EPFO), is an organization tasked to assist the Central Board of Trustees. •	It is a statutory body formed by the Employees` Provident Fund and Miscellaneous Provisions Act, 1952 and is under the administrative control of the Ministry of Labour and Employment, Government of India. 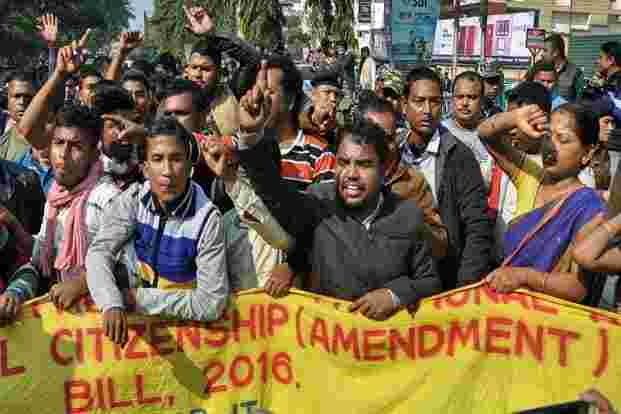 •	Janta Dal (United ) reiterated that it will oppose the Citizenship (Amendment) Bill, 2016, when it is placed in the Rajya Sabha , arguing that the proposed legislation is detrimental to the identity of Assam in particular and the northeast in general. •	The Bill amends the Citizenship Act, 1955 to make illegal migrants who are Hindus, Sikhs, Buddhists, Jains, Parsis and Christians from Afghanistan, Bangladesh and Pakistan, eligible for citizenship. •	The Bill provides that the registration of Overseas Citizen of India (OCI) cardholders may be cancelled if they violate any law. •	The Bill makes illegal migrants eligible for citizenship on the basis of religion. This may violate Article 14 of the Constitution which guarantees right to equality. •	The Bill allows cancellation of OCI registration for violation of any law. This is a wide ground that may cover a range of violations, including minor offences (eg. parking in a no parking zone). •	Manipur, Meghalaya and Tripura celebrated their statehood day. On this day in 1972, all the three states became full-fledged states under the North Eastern Region (Reorganisation) Act, 1971. •	President Ram Nath Kovind has greeted the people of the three states on the occasion. In a tweet, Mr Kovind extended his best wishes to the states for a bright and prosperous future. •	Meghalaya : is a state in Northeast India. 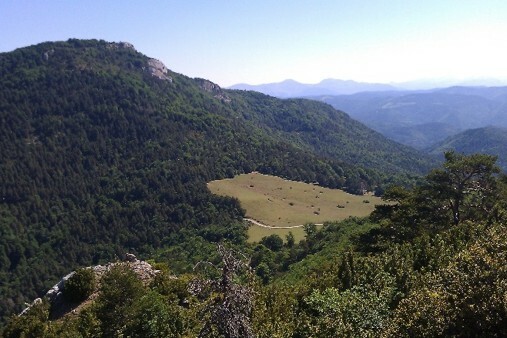 The name means "the abode of clouds" in Sanskrit. The state is bounded to the south by the Bangladeshi divisions of Mymensingh and Sylhet, to the west by the Bangladeshi division of Rangpur, and to the north and east by India`s State of Assam. The capital of Meghalaya is Shillong. Governor: Tathagata Roy; Chief Minister:Conrad Sangma. •	Tripura: is a state in Northeast India. The third-smallest state in the country and is bordered by Bangladesh to the north, south, and west, and the Indian states of Assam and Mizoram to the east.Governor: Kaptan Singh Solanki; Chief Minister Biplab Kumar Deb.